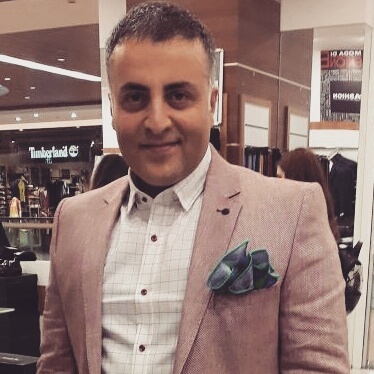 • you can see different techniques in septum perforation closure by using a two-sided button cartilage graft. 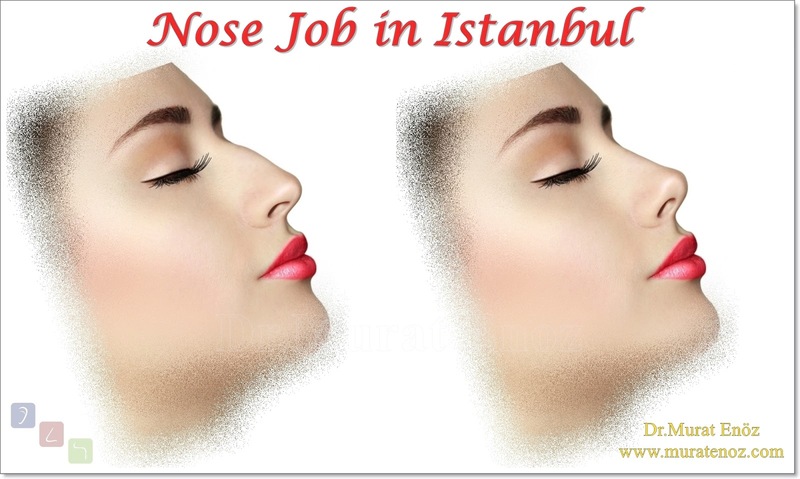 I do not like the techniques involving the closure of the large septum perforations by sliding the membranes on the cartilage from the nose and the higher probability of puncture. 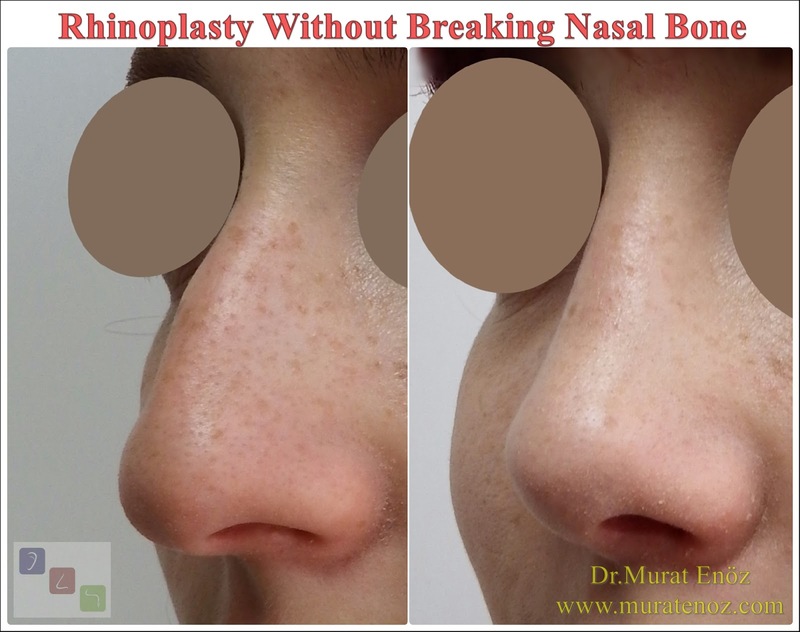 As a method that can be used in small septum perforations, there is also the closure of the hole by sliding the mucosal membranes adjacent to the hole. In addition to these, the muscle membrane from the cadavers, the muscle membrane of the patient and the membranes from the animals can be used. 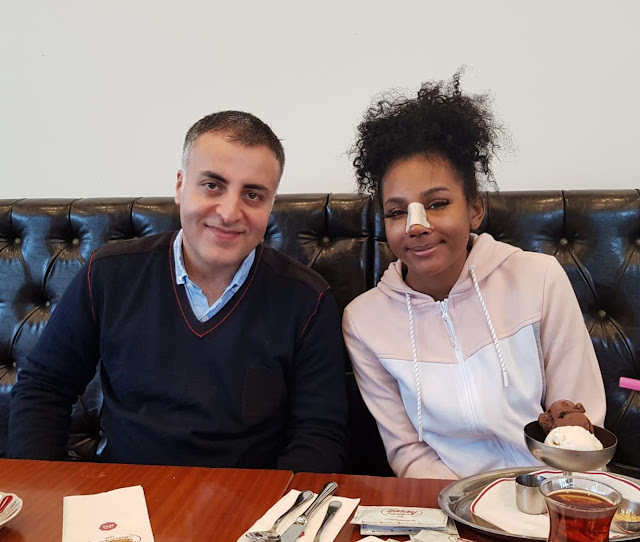 In septum perforations, as the septum perforation diameter increases, the chance of surgical success decreases in septum peforation repair. 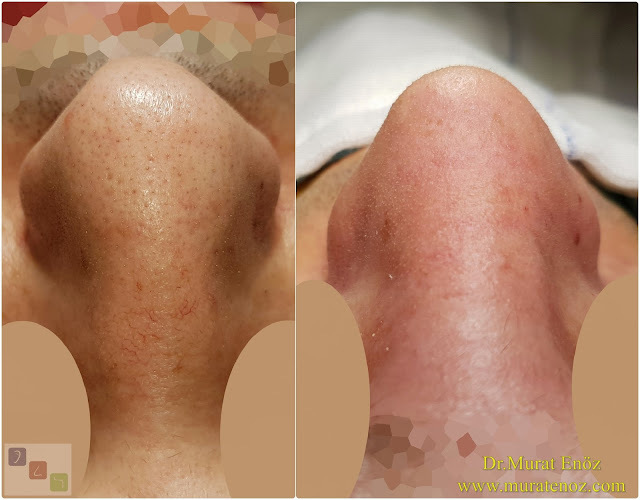 In order to treat the nasal septum deviasyou, the patient had complaints of deviation surgery, nasal whistling, softening and falling at the nose, drying in the nose, crusting and occasional nosebleed. 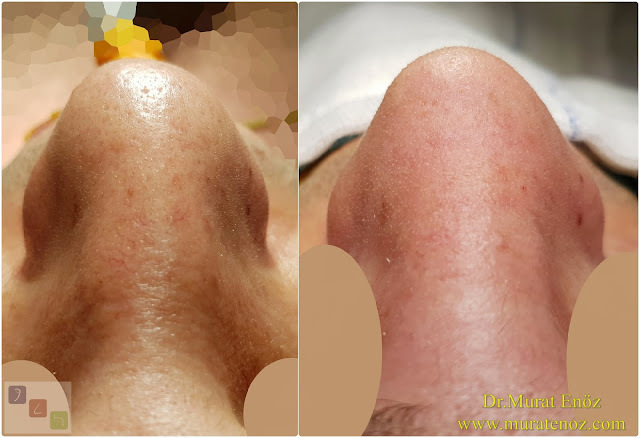 A small septum perforation was observed with a diameter of 8-10 mm. 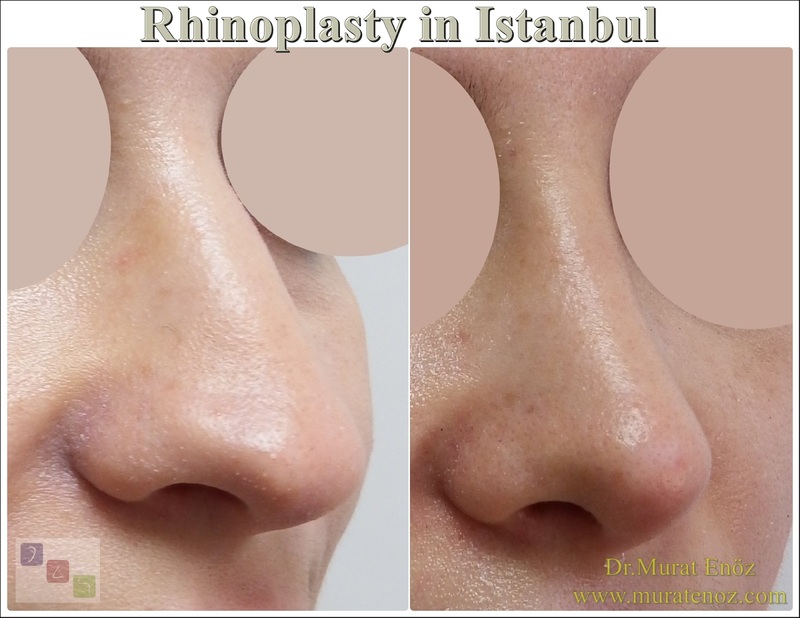 The patient, who was planned to have a nose aesthetic (rhinoplasty) operation, was planned to undergo open technique nasal aesthetics and septum perforation. In open technique nasal surgery, when the nasal tip skin is removed after incision into the kolumella region, subcutaneous tissue can be removed by two-level dissection. 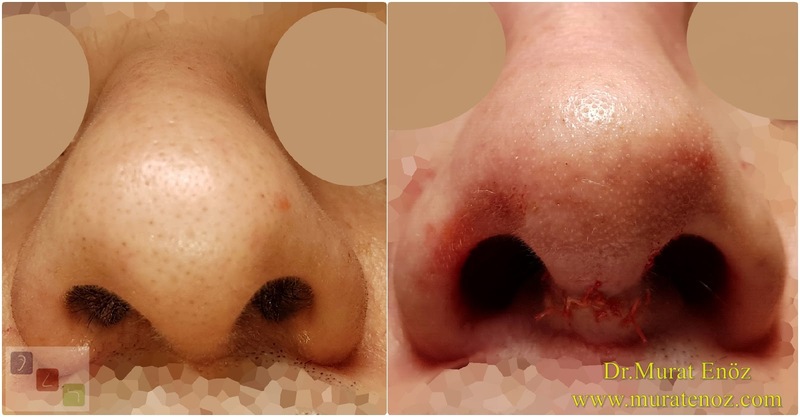 After removing the dead epithelial layer at the edges of the nasal septum perforation, septum perforation was closed with tissue taken from under the skin of the patient's nose. With meltable fine threads, this texture was sewn on all edges of the hole and then the edges of the holes were brought closer to each other using thicker absorbable stitches. 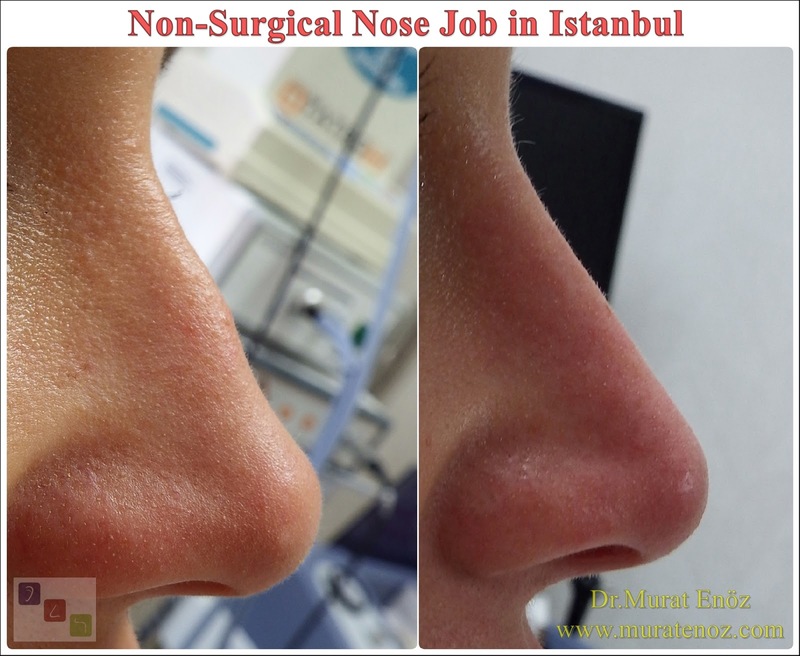 Nasal aesthetic surgery was continued after the procedure was completed. 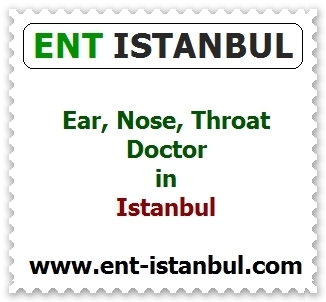 When the operation was completed, intranasal splint and nose bandage and external splint were placed in each nasal cavity.